The 2011 Jury Award for best narrative feature went to Evan Glodell’s ‘Bellflower‘. 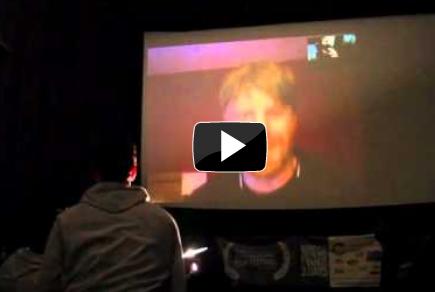 Following the screening on Saturday, October 22, Glodell tuned into La Grande, Oregon via skype from his hotel room in Ireland. He discusses the use of very little resources, participation of key players, and the grueling, yet rewarding, process behind the development and production of ‘Bellflower’.